Best play center to celebrate kids birthday party in Melbourne? 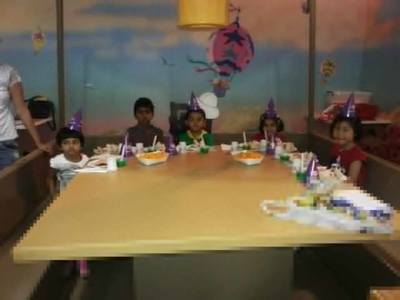 Which is the best play center to celebrate kids birthday party in Melbourne? Monkey Mania situated at Docklands is the best place for kids Birthday Party. The only place I know is Monkey mania as well. Which is the best shop to buy handbags in Melbourne? Have you been to Healesville Sanctuary? Have you been to ISKCON temple in Melbourne? Which is the best place to buy vegetables in Melbourne? Which is the best shopping mall in Melbourne? Have you ever experienced major turbulence during any of your air journeys?